The Green Ingredient: Detoxification Anyone? It’s that time of the year; start buckling down and setting your goals for the year 2014! What are some of your resolutions? To be nicer to people? Stop staying up so late? How about setting your goal to having a healthier body? Adding some years onto your life span is always a plus in my book! Now, let’s look at how we can achieve our goal of having a healthier body. Have you ever thought about the act of detoxification? Detoxification means cleaning the blood. It does this mainly by removing impurities from the blood in the liver where toxins are processed for elimination. In the present day, many health assaults are accepted as normal. Pollutants are constantly in our air, water, and soil! We have to acknowledge that those stressful times such as relationship issues, trying to beat traffic while having your meal on the way, can also contribute as health assaults. These assaults affect your body’s ability to keep a healthy balance. Sitting in front of a desk for hours on end and/or in front of a television causes energy to stop flowing. Circulation slows down; carbon dioxide builds up in the bloodstream, liver, lymphatic, and intestinal function which causes them all to become sluggish. The combination of not having your energy flowing and the constant assault of toxins impairs the normal functioning of the organs responsible for keeping the body clean and healthy. For those of you thinking - “What in the world is a toxin?”- A toxin is any substance that irritates cells and interferes with the normal functioning of an organ. Toxicity occurs when excessive toxins are taken in, or when the body’s pathways of detoxification are overloaded or blocked. I am here to put truth to the statement - “Your physical and emotional well-being is directly related to how efficiently your organs of detoxification are able to cleanse and purify your body.” If you stay active and keep your body healthy, you’ll be in a better mood and you’ll feel exponentially better! This year shall be a year where you focus on detoxifying your body. 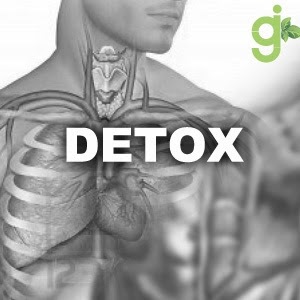 Detoxification can lead to a perkier, healthier, and a better looking you! Cleanse your body of the harmful toxins that hold you back from leading a healthy fulfilling life. Will work shops be available on this topic?